A’s & Aces was founded in 2008 by Anna Monhartova and David Schumacher “to provide academic assistance, life skills and tennis for New Orleans public school children.” The name “A’s & Aces” was chosen to represent our student-athlete model and an emphasis on excellence in the classroom and on the courts. Programs are designed to address several crises that particularly afflict New Orleans: illiteracy, violence/values, and obesity. The number of children regularly impacted has steadily increased each year, and about 1,000 children now participate annually. Staff regularly works with over 750 children through our in-school, after-school, school-break and weekend programs each week throughout the academic year, and over 150 in summer literacy and tennis camps. With eight full time staff, 25 part-time and seasonal staff, and over 100 regular volunteers throughout the school-year, children’s individual needs can be addressed while implementing literacy, life-skills and tennis curricula. A’s & Aces uses several venues and implements a variety of age/grade academic and athletic models. Currently, we partner with five schools to teach essential life skills using literacy (reading and writing) projects, and “physical literacy” (movement, eye-hand coordination using QuickStart Tennis). We focus on 1st – 3rd grade students during throughout the school day, and 2nd-8th graders can apply to our afterschool programs at Joe Brown Park Tennis Center and Dillard University. There, classroom literacy projects and tennis court activities are thematically linked through use of USTA First Serve Life Skills and ACE curricula and other projects. Our goal is to help prepare our students to succeed academically, socially/emotionally and physically in elementary school, middle school, high school, college, and beyond. Our children first played USTA Junior Team Tennis in 2011, and A’s & Aces had more teams and participants than any other metro New Orleans area organization, club, or park. By retaining participants and growing one grade per year, we were finally able to start a public middle school tennis team in 2012 and it has competed each year since. 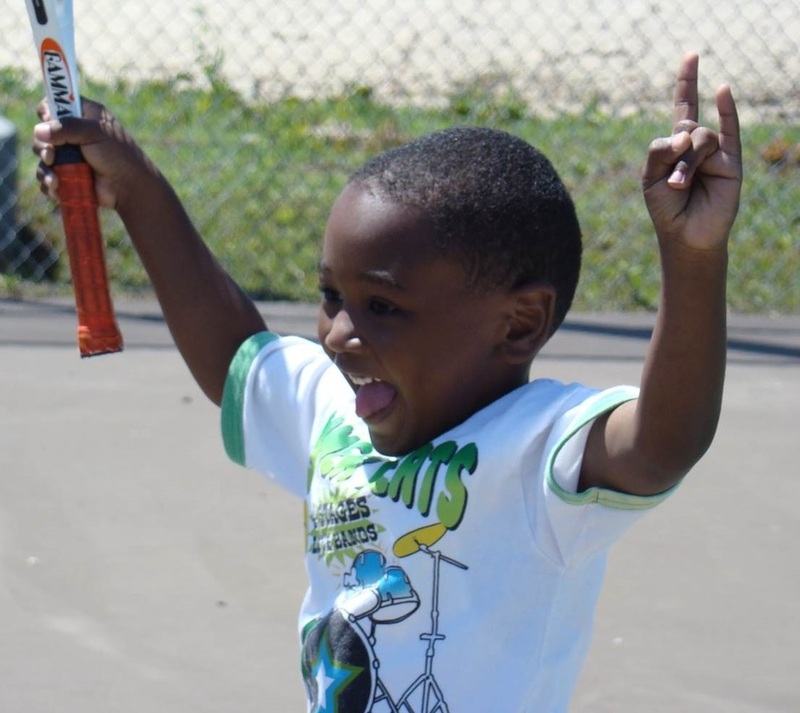 We now run four summer-long Literacy & Tennis Camps for over 180 children, six hours of Saturday programming at Pontchartrain Park with about 65 regular participants, and host five USTA sanctioned tournaments throughout the year, all in partnership with the New Orleans Recreation Development Commission (NORDC). Scores of our participants earned Louisiana State rankings in 2016 and our Excellence Teams have traveled to train and compete in College Park, Maryland (10s) and at the Orange Bowl in Florida (12s & 14s). - [My son] has enjoyed participating in the A’s & Aces program and as parents we have enjoyed watching him learn and appreciate the sport of tennis. We are also pleased with the focus on academics that helps to reinforce the importance of a strong education for anything that you want to do or become. - "This has been such a great summer at A's & Ace's. We can't believe next week is the last... Freya is so professional and kind. She runs a first class program. The counselors and volunteers are so committed and enthusiastic! Thanks for a great program - our entire family is giving tennis a try now. A’s & Aces has been fortunate to have strong fiscal support over the years from scores of corporate sponsors, hundreds of individual donors, through government and foundation grants, and as a United Way Partner Agency. Our partnerships with Tulane and Dillard, AmeriCorps VISTA and Up2Us/Coach Across America , NORDC and numerous public schools are important relationships that have made it possible to provide high-quality programming for so many. America. 2011. What makes our nation great? For many it is the compassion, kindness, and selfless duty of millions of ordinary Americans: people who through their actions and efforts bring about a lasting change for the benefit of others. These people are what exemplify the ideals and values that our country was built upon. The State of America is a documentary project, which aims to highlight individuals and grass roots organizations in communities across the country, whose sole objective is to positively alter the state they are in, in the State they are in. Though the production was real, the “documentary” turned out to be a ruse to enable the surprise climax of a New Orleans episode of ABC’s national television show, Secret Millionaire. More.